When will the next planetary alignment? 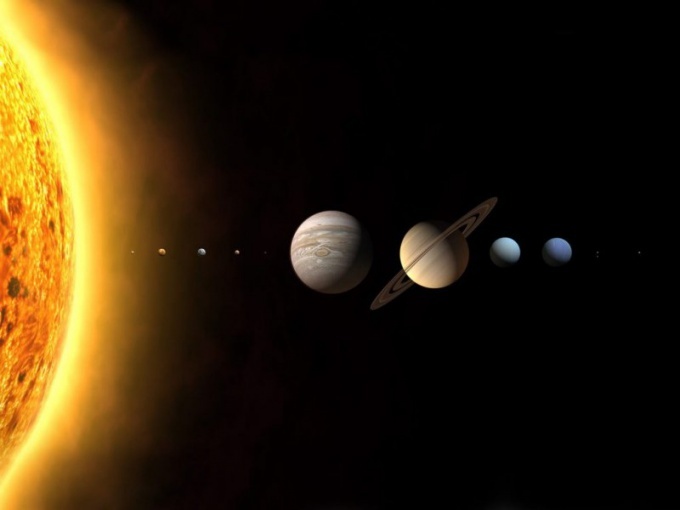 The parade of planets is called an astronomical phenomenon during which several planets of the Solar system come together in a small sector on one side from the Sun. There are large and small parade of planets. In the first case, in a small sector on one side from the Sun are just 6 of the following planets: Earth, Mars, Venus, Jupiter, Saturn and Uranus. When the so-called small parade of planets occurs immediately above with four planets (Mars, Venus, Saturn and mercury). Astrologers often associate the parade of planets with different major political or social events. Indeed, sometimes, during these unique phenomena undergoing major historical changes. Also, experts distinguish visible and invisible parades. Visible planets is a configuration in which the 5 bright planets (Mars, mercury, Venus, Saturn and Jupiter) are at close distance and become simultaneously visible in the same sector of the sky. All these planets can be seen from the Ground at the same time, be sure the following condition is met: Mars, Jupiter and Saturn's longitude should be about the same, and mercury and Venus should be in the spring in Eastern elongation from the Sun, and in the fall in Western elongation. Only in this case (true for the middle latitudes of the Northern hemisphere of our planet) planets becomes visible for quite a long period of time. The last time the parade of planets can be observed in 2002 and 2011. In the first case, which occurred at the turn of April-may 2002, in the constellation Taurus was found 4 heavenly bodies — Mars, mercury, Venus and Saturn. The fifth participant of the parade was the planet Jupiter, stopped nearby in the constellation of Gemini. And in may 2011 in the constellation of the Fish were 5 planets - Mars, Venus, mercury, Jupiter and Uranus. To see this unique astronomical phenomenon are residents of the southern hemisphere, especially well of the planet was visible before sunrise. Visible parades to 5 bright planets happen about once every 18-20 years. According to some experts, another great parade will take place in March 2022. A 30 ° sector on the background of the rising moon will meet from 5 of the major planets - Jupiter, Venus, Mars, Neptune and Saturn. It should also be noted that Neptune and Venus will be in the most close approach is only 44 seconds corner from each other. However, according to the scientists, it is unlikely that this alignment can be seen from the territory of the Russian Federation. Once there was a parade of planets in December 1989, followed shortly a number of important historical events: the collapse of the CMEA and the termination of the Warsaw Pact and the collapse of the Soviet Union. The Russians also will have the opportunity to observe the unique celestial phenomenon in 3 months when in June 2022 5 bright planets simultaneously will be in sector 115 degrees. Their locations (mercury, Venus, Mars, Jupiter and Saturn) will be even more rare than the usual parade of 5 planets. Saturn, according to scientists, this time will be a little away from the other planets.